The J750 is known for its ability to create printed products with a fantastic level of detail. Historically, this level of detail was reserved solely for full-color 3D printers, namely the J750 and the J735. 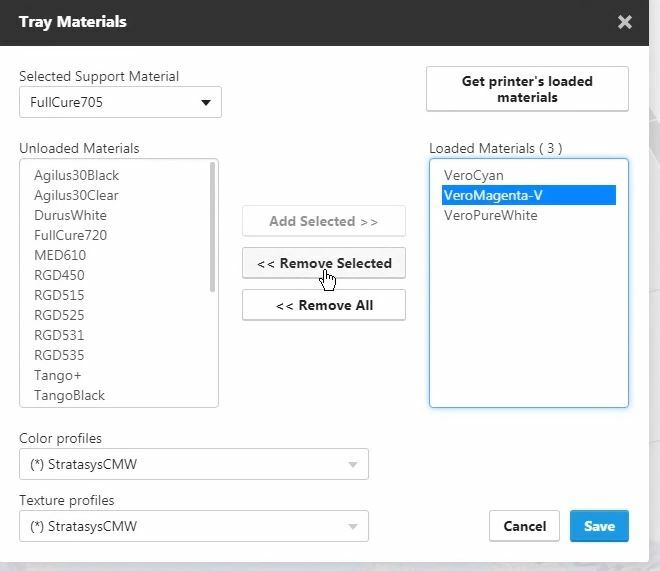 Now, you can print VRML files in a Connex3 printer the same way you can in a J750, allowing a beautiful color gradient to be formed. 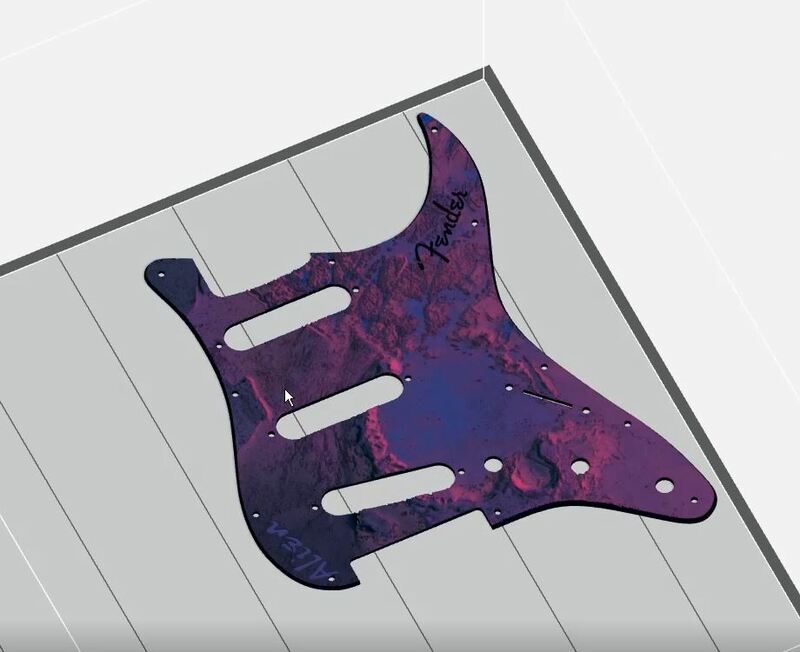 On this edition of 30 on 3D, Peter Montgomery will show you how the Connex3 modifies a color gradient to product a VRML print. 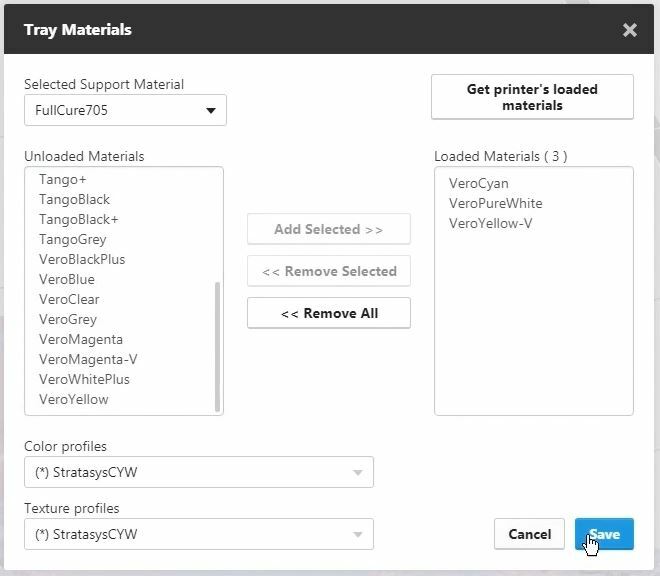 Watch the video above and follow the steps below to perfect your file. 1. 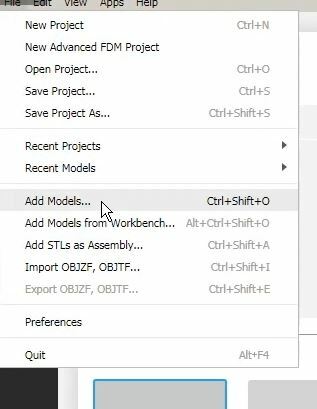 Save the configuration and load in the VRML file. 2. 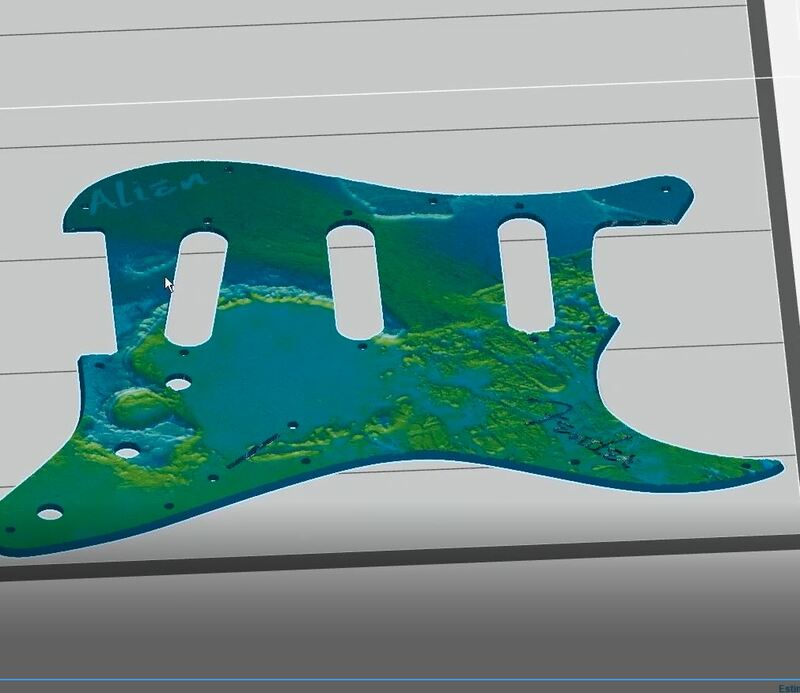 Once the model is loaded, GrabCAD then will take the tray materials and color-map them across the new VRML. 3. 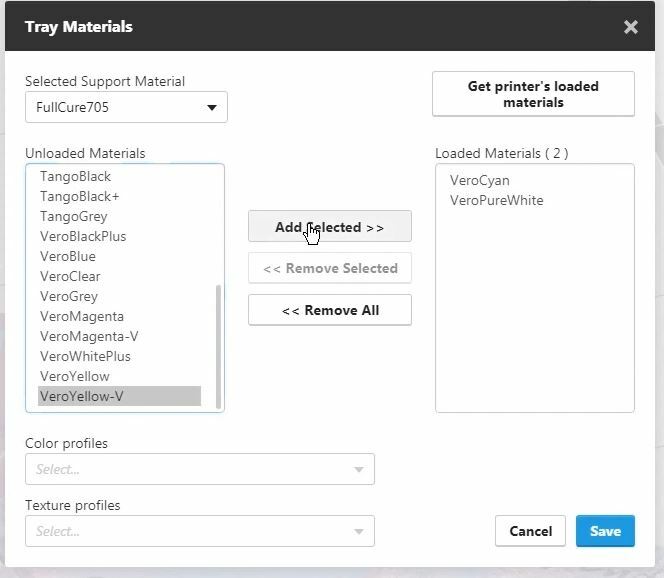 You can then change the color gradient dynamically by clicking on the material you want to switch out, then clicking on the “Remove Selected” button. 4. 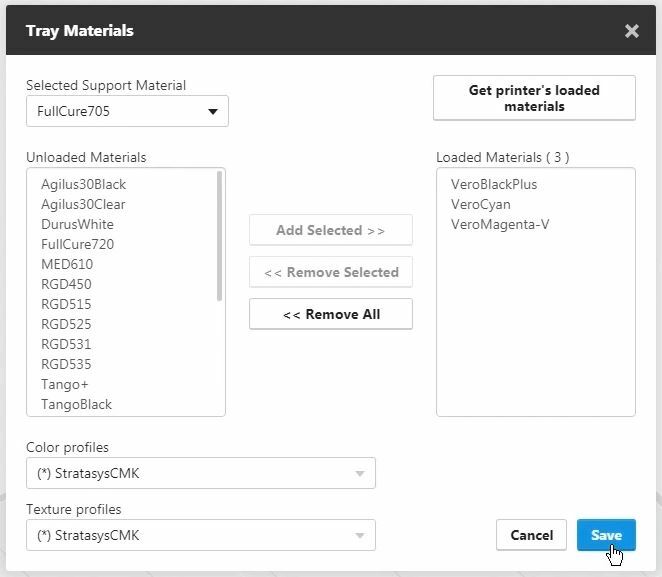 After that, you can then use the menu options on the left to choose a new material, then clicking “Add Selected”. 5. Once you have added your new material, and clicked “Save”, the new color gradient will then be applied to the VRML.